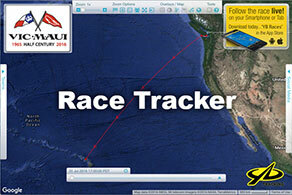 Selected overnight distance races are designated as "Vic-Maui Qualifying Races". Potential Vic-Maui crew members are encouraged to participate in one or more of the Vic-Maui Qualifying Races as part of their personal preparation for the pinnacle of Pacific Northwest ocean racing, the Vic-Maui race. Individual crew experience with overnight sailing is important to skippers when selecting crew, and combined crew experience with overnight sailing is important to the race committee when considering Vic-Maui entries. Boats sailing in the 2018 & 2020 Vic-Maui fleets are encouraged to participate in Vic-Maui Qualifying Races. Some of these races will be scoring Vic-Maui boats as a subfleet, in addition to their usual class/division scoring.